Sadly mine will not see the nautical adventures a Seamaster should and your photo suggests ! Thanks gents, it is a Zuludiver picked up off eBay new for about £6 as I recall. Only about £12 from Watch Gecko I think, great value and highly recommended. Congratulations on a really great purchase. A fabulous looking watch, enjoy. Topic: Waited just over a year but it was worth it! Re: Waited just over a year but it was worth it! Very lovely indeed, a really well done vintage look. Congratulations. I do like the colour and texture of that GS dial Thunder 1 and although ‘busier’ than I might normally like, that Junghans dial really works for me IAJ. Very, very lovely gents. Dog tired evening in the camper for me. 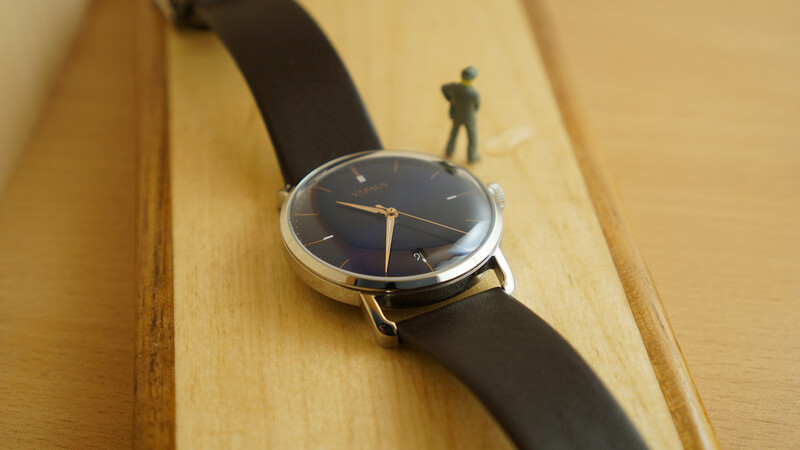 A very lovely watch indeed. I get their newsletters ocassionally and I am always very tempted. First post on NCWOTD for my new watch. That is absolutely gorgeous, I love the hands, numbers as well as the dial. I have to say I am not sure about the position of the logo though.